Methyl-1-testosterone (methyldihydroboldenone) is an oral anabolic steroid derived from dihydrotestosterone. lt is closest in structure to 1-testosterone (dihydroboldenone), differing only by the addition of c-17 alkylation (which does change the activity of this steroid considerably). M1T for short, this agent can be looked at as some kind of amalgamation of Primobolan, Winstrol, and trenbolone. It has the basic 1-ene structure of Primobolan, the bioavailability of a methylated oral steroid like Winstrol, and the high potency of a strong synthetic anabolic and androgenic agent like trenbolone. Based on standard assays, the potency of methyl-1-testosterone actually exceeds that of every prescription anabolic steroid currently sold. It is popular among bodybuilders as a bulking agent, with an ability to promote rapid gains in muscle size and strength, which are often accompanied by some level of water or fat retention. Methyl-1-Testosterone was never approved for use in humans. Prescribing guidelines are unavailable. 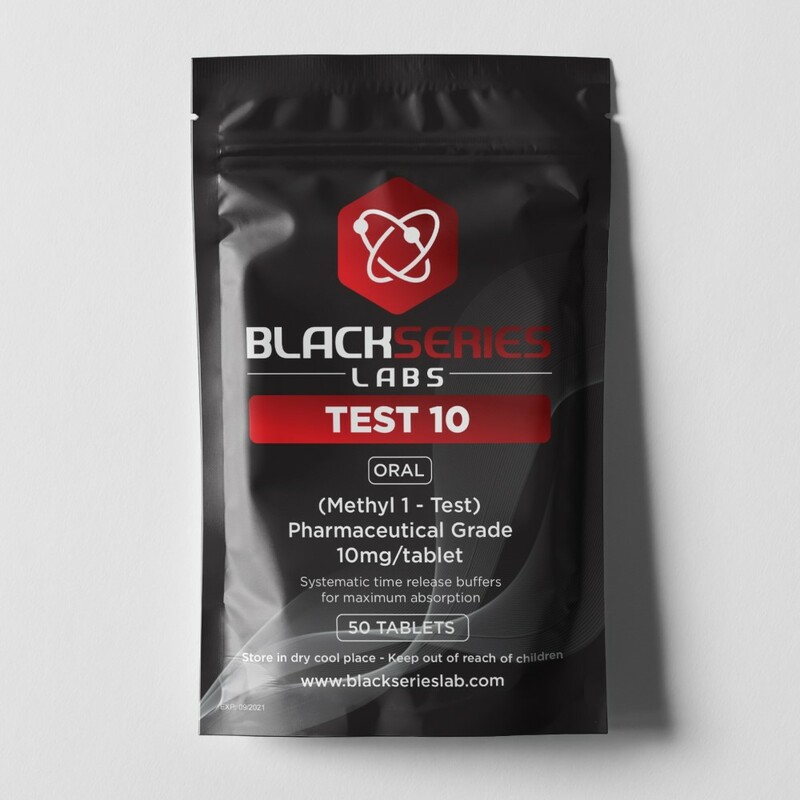 For physique or performance enhancing purposes, a typical effective oral daily dose will be in the range of 5-10 mg, taken for no longer than 4-6 weeks. A dose of 20 mg is sometimes used, although this increases the likelihood for side effects. Many users feel they are better served by not exceeding a 10 mg daily dose, and instead stack it with an injectable like testosterone cypionate (200-400 mg per week) when a stronger effect is needed. This may reduce liver toxicity compared to a higher dose of M1T, and also provide a more balanced cycle in terms of anabolic vs. androgenic effect. A common complaint when M1T is taken alone is lethargy, which may be due, in part, to its low androgenic or estrogenic component. Stacking it with an aromatizable androgen like testosterone will usually alleviate this problem. Note that while a small percentage of users exceed 20 mg per day, it should be remembered that even this is a serious dose for a potent steroid like this, and is not to be taken lightly, either for its effectiveness or toxicity. Like Anadrol, M1T is not necessarily a friendly steroid, but it is definitely an effective one. Steps should be taken by users to cope with M1T’s toxicity by using a complete Cycle Support Stack to cover liver, kidney, heart health and all the other organs.